Nixon was undoubtedly one of the worst presidents the United States has ever had. It seems to me, that the worst thing he ever did, was to establish the EPA. We are still living under its particular brand of tyranny. How much of Clinton’s success can be attributed to Republican Congress from 94-00? 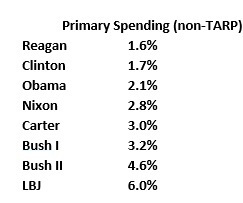 Granted he was quite different from any democrat today and embraced “the end of big government”…will be very demoralizing if trump admin/republican congress is not able to make some dent in spending. While there are other policy factors in play, GS really represents so much, particularly when it’s become almost 40% of economy (at all levels). Has nearly half our economy really become the post office? I don’t think you can fully judge Nixon without looking at what he inherited. 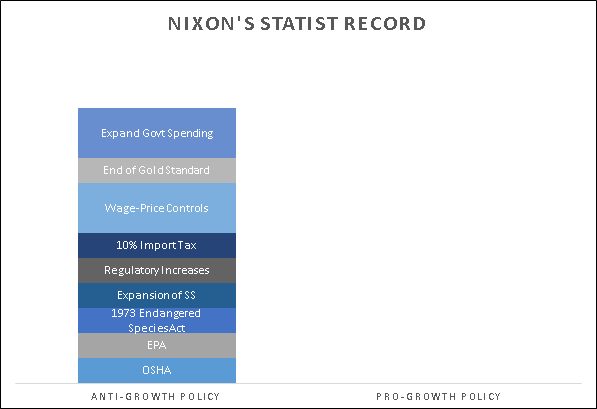 If LBJ was expanding government spending by 6.8% (on average), then Nixon’s expansion at 2.8% is a move in the right direction. Also, before assigning him the creation of EPA, etc. one would need to look at the record to determine that the laws didn’t pass congress with veto-proof margins. If they did, the blame should rest with congress as he wouldn’t have been able to stop them. (that applies to every president in the survey). Can’t argue with facts. But I do not think Nixon gets the credit he deserves for opening up China.